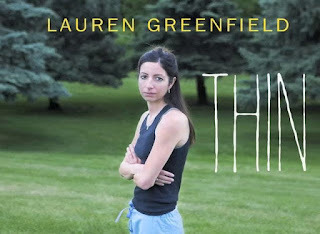 Thin (2006), directed by Lauren Greenfield and released by HBO, follows four women through treatment for disordered eating at the Renfrew Center in Florida, and serves as both an exploration of the struggles these women face in this institution as they try to live their lives and improve their health, as well as a presentation, if not a dramatic exposé, of the politics and running of the treatment center itself. The film follows three women in their twenties and thirties—Shelly, Polly, Alisa—and a girl named Brittany, who has been admitted to Renfrew at just fifteen years old, as they meet with therapists, deal with nurses and staff, and interact with one another and the rest of the patients. The film closes after Polly’s and Brittany’s forced exits from Renfrew (the latter having to leave due to her insurance running out, a theme that could be the subject of an entire new documentary), and the filmmakers inform us, in text displayed under photographs of the four protagonist, about their lives post-Renfrew: Brittany relapses and moves back in with her mother, Alisa attempts suicide and returns to Renfrew, Polly goes back to school, still struggling with her weight, and Shelly undergoes electric shock treatment for depression after losing an unhealthy amount of weight. However, visiting the Wikipedia page for Thin reveals a far more grim reality post-2006: that while Shelly, Alisa, and Brittany (after struggling with drugs) managed to get some help after the events of the film, Polly ended up possibly committing suicide in 2008; knowing that she dies after the events of the film, where, despite her recalcitrance and rebellious nature, she is infantilized, condescended to, and thrown out of Renfrew, makes the implications of her death that much sadder. Had she been allowed another chance to stay at Renfrew, she might still be alive today. What I found interesting while watching the film is that no attention is paid to aspects of aspects of society, especially in the United States, that could very well have played a part in these women and girl developing such severe eating disorders. The focus of the film is very much about the process of the treatment of these sicknesses rather than an exploration of the imagery and visual cues that, especially for a girl as young as Brittany, could have caused these four protagonists to develop unhealthy body images. Additionally, the film is rather narrow in its demographic scope as it focuses on four white women rather than including a more diverse set of protagonists. I would also have been interested to see a reference to a male protagonist, since most of the dialogue around eating disorders follows the stories of women and girls. Thin aims to demonstrate the experience of being at Renfrew as lived by these three women and one young girl. The juxtapositions of patient experiences and Renfrew staff responses, created just by what Greenfield chooses to cut or leave in, casts Renfrew and its processes in a negative light. Rather than having the patients’ best interests at heart, Thin seems to show, Renfrew’s nurses and staff engage in often cruel gossip about the patients, make jokes about losing and gaining weight while in private, and engage in tone/language policing as a means of exerting power. 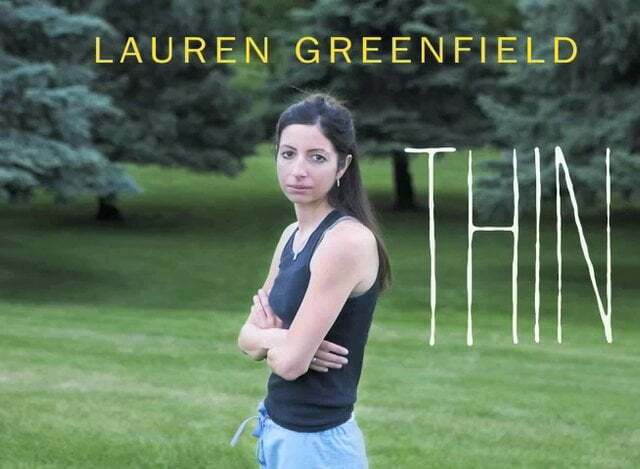 Ultimately, Thin is a saddening, sobering depiction of trying to heal in an institution that, on paper, might seem to be a safe, positive place for treatment, but in reality is just as flawed and bureaucratic as any other institution. There are undercurrents of issues that the film easily could have followed, had it decided to go that direction, and thus made a more political statement, but instead Thin presents the evidence, both inside and outside Renfrew, and leaves it up for the viewer to decide who is right and who is wrong—or rather, if there are even any true villains in this piece.